Monday, October 8, 2018, the Inauguration Ceremony opening the 2018/2019 Academic Year took place. 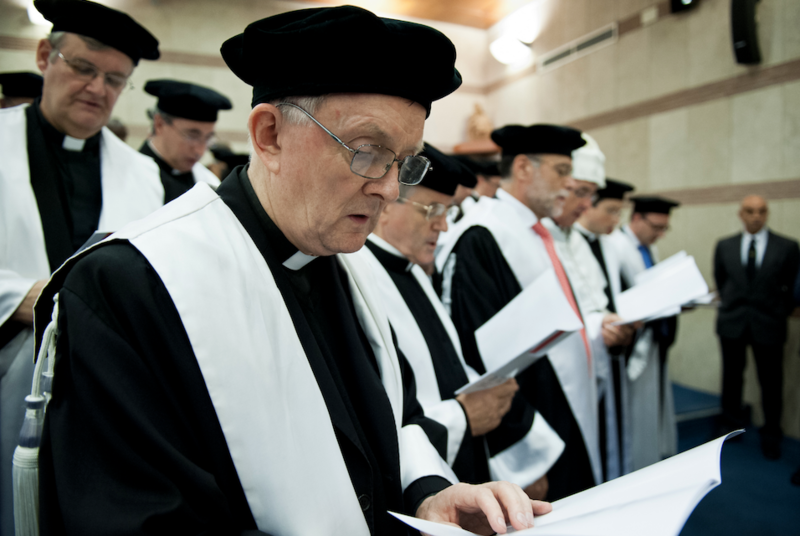 The traditional votive Mass of the Holy Spirit was held in Sant'Apollinare Basilica, presided by the Grand Chancellor of the University, Mons. 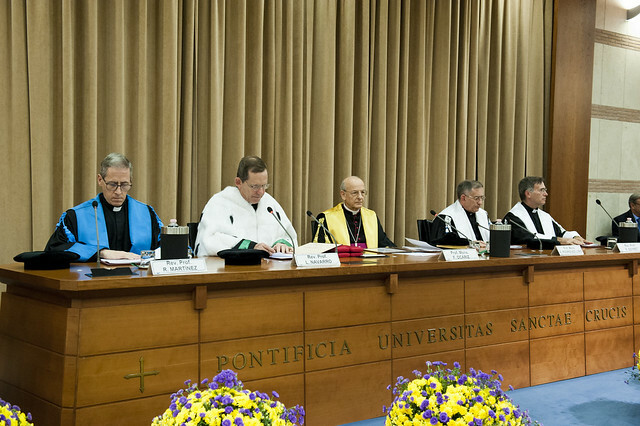 Fernando Ocáriz, and con-celebrated by clergy from the different schools. In Aula Magna 'Giovanni Paolo II', the Solemn Academic Act took place. Prof. Luis Martínez Ferrer, from the School of Theology, gave the inaugural speech on the theme Christian ideal and commitment in the world. Three figures of lay people of the sixteenth century.